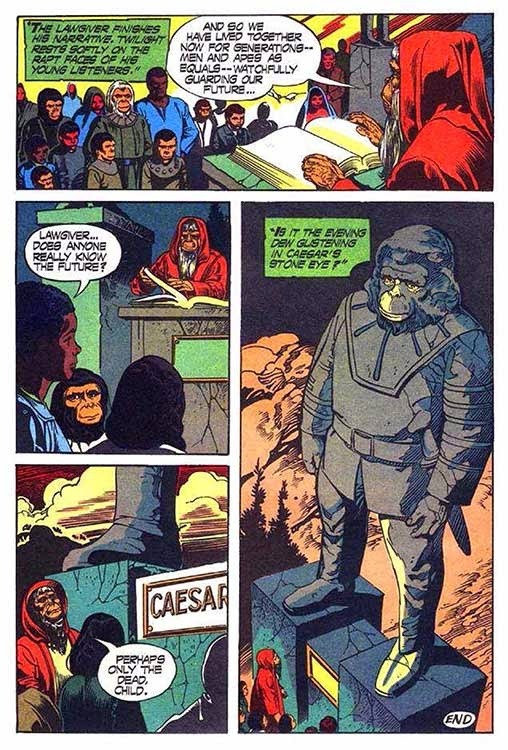 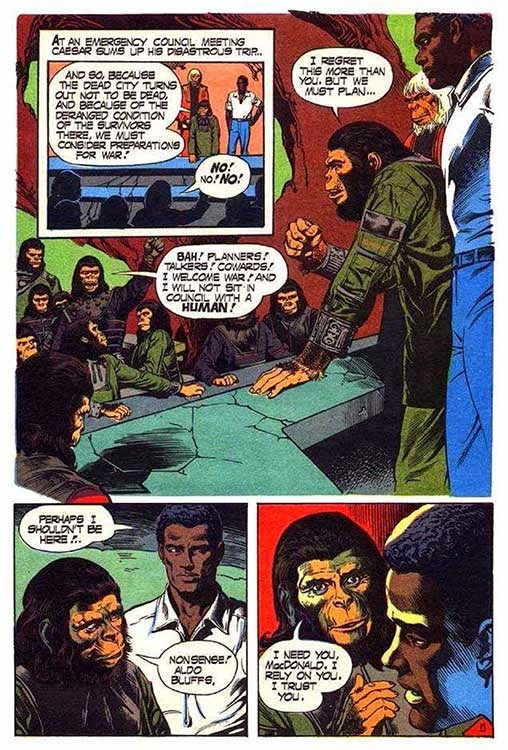 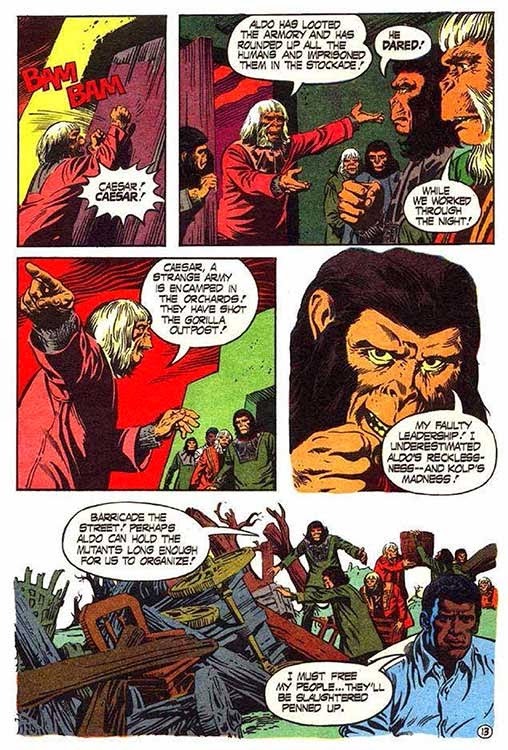 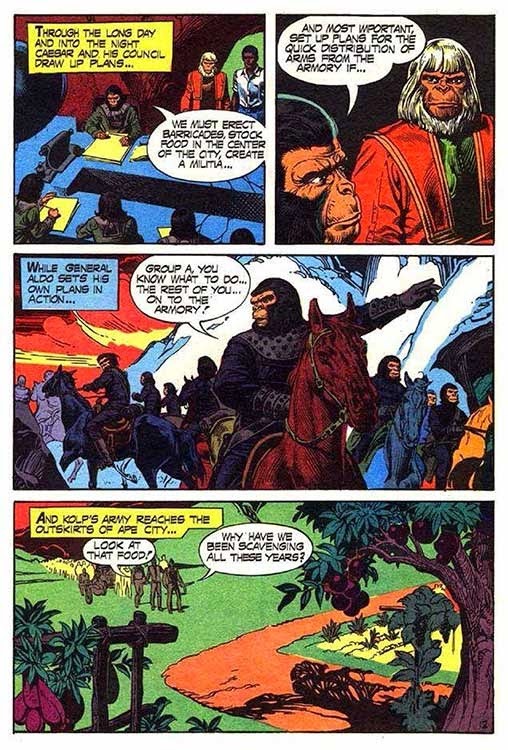 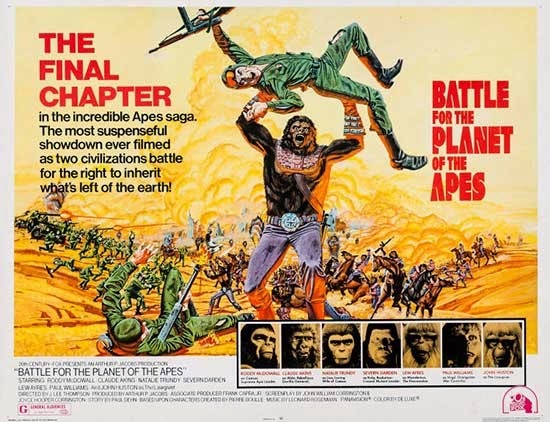 Ape leader Caesar, and his advisiors, orangutang Virgil and human MacDonald, search the radioactive Forbidden City for electronic files about Caesar's parents and what the future holds for Earth. 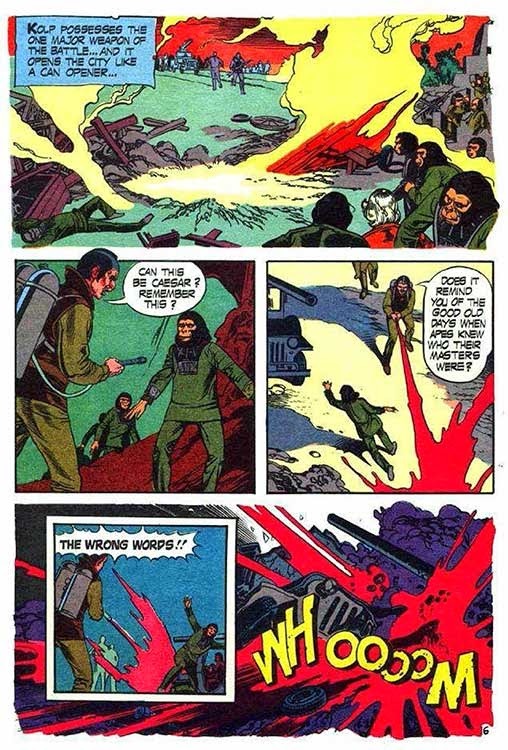 The trio find the info, but the mutated human inhabitants of the ruined city find them. 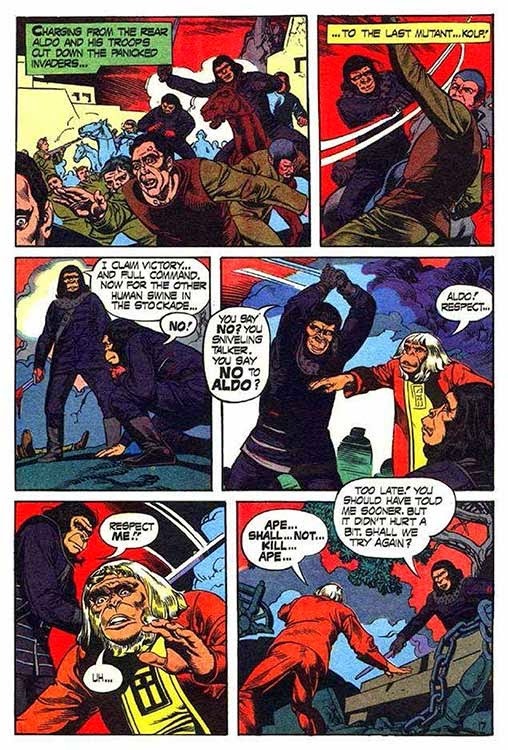 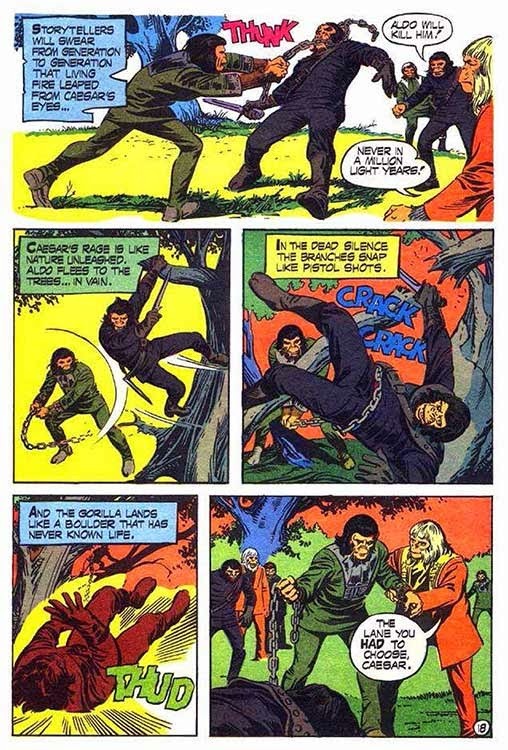 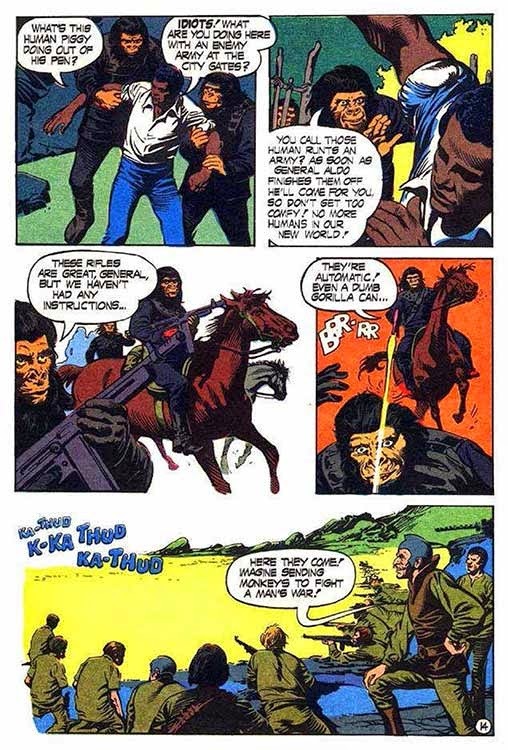 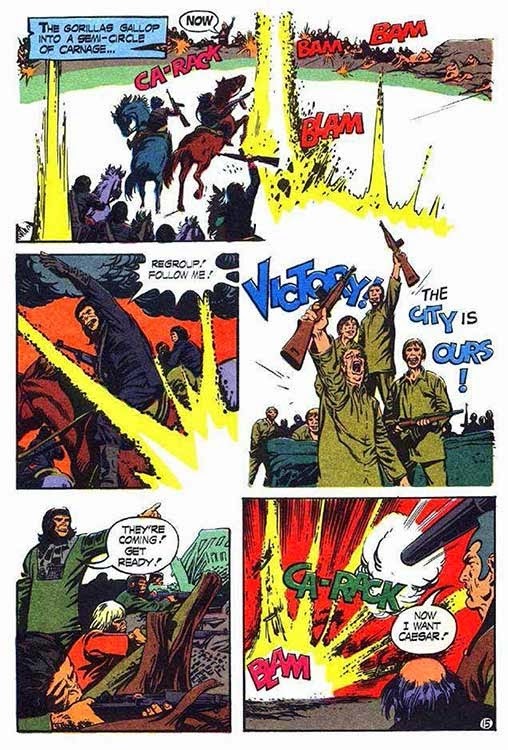 It's unknown how many differences between this adaptation and the movie (such as General Aldo attacking Virgil instead of Ceasar's son Cornelius) were the result of working from an early draft of the script, or an attempt to keep the story "kid-friendly". 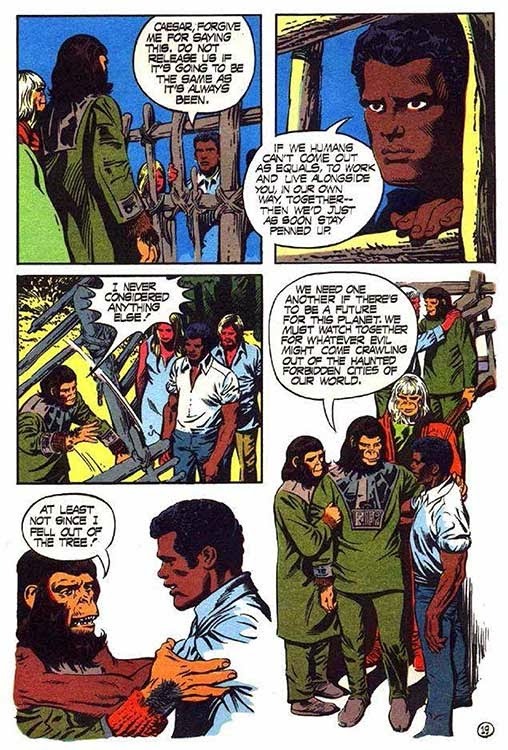 I'm going to come back and read this strip properly, but in the meantime, just wanted to let you know that I've added your site to my blog list. 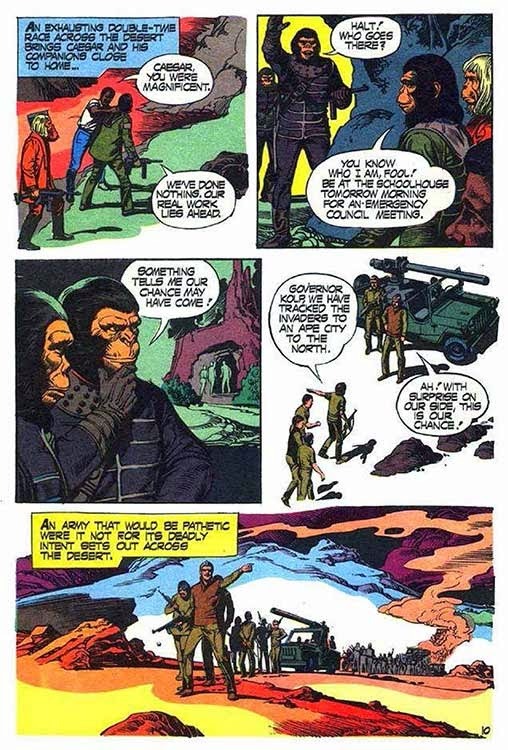 Should you wish to reciprocate, I wouldn't mind at all.